HARTFORD - The Connecticut Department of Consumer Protection is investigating the state lottery for its handling of a series of scandals and the following disciplinary action taken against employees. 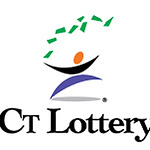 DCP Commissioner Michelle Seagull said Wednesday the department will open a wide-ranging investigation into the Connecticut Lottery Corp., as requested by legislators. The lottery has faced several setbacks in recent years, including a botched drawing Jan. 1 that wrongly excluded 100,000 ticket buyers. The mistake cost the state close to $1 million. The DCP says it will ask the lottery to end all disciplinary actions taken against employees for the Jan. 1 drawing, pending its investigation. Lottery officials had no comment on the investigation Wednesday. Chelsea Turner, interim president and Lottery Corp. CEO, says officials will meet Thursday to draft a response. Posted in Newington Town Crier, Business, Newington News, State on Thursday, 15 March 2018 10:52. Updated: Thursday, 15 March 2018 10:55.